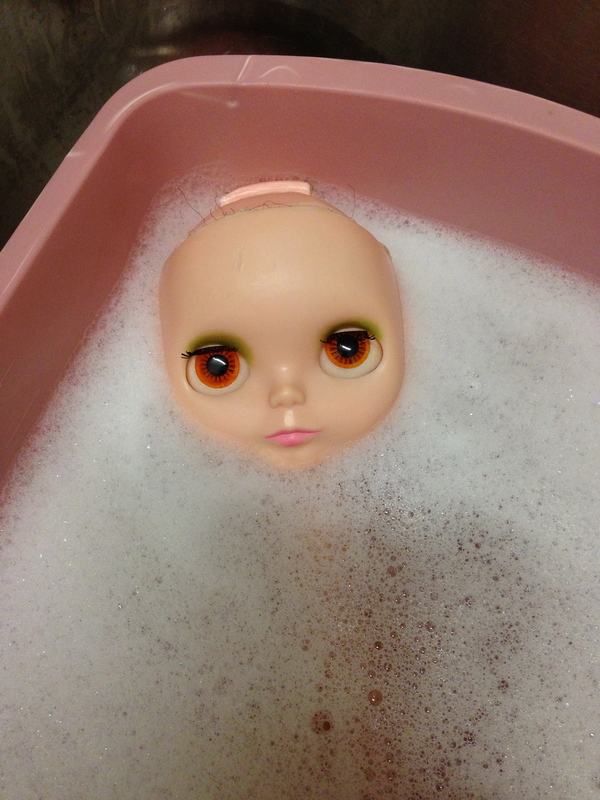 I began collecting Blythe dolls several years ago after reading an article about Squeaky Monkey in a doll magazine. My collecting focused on Takara Blythes, as the Kenner girls were always just beyond my financial reach. In all reality, I could have saved my money, foregone all the Takaras, and purchased one perfect Kenner. But, I’m a doll nut. And to quote (or misquote) Dolly Parton, “People say less is more. I say, no, it’s not. More is more!” So I’ve been selling off my SBLs, my RBLs, my EBLs, and I’m about to sell off a BL, so that I can finally enjoy the elusive Kenner! Here she is, soaking off the vintage dirt, in all her glory!